Loose fillings, cavities, a cracked tooth, a sinus condition, an abscess, or infection at the gum line, can all bring on the dreaded toothache. Toothaches may vary from mild or moderate soreness, to an unbearable throbbing pain in your teeth and around your jaws. Here are some remedies you can try to ease toothache until you can see the dentist. If the pain is limited to the tooth, and swelling has not spread, treat it by rinsing your mouth with warm salt water. A painkilling mouthwash can be made from a teaspoon of salt dissolved in hot water that will wash away any irritating food or harmful bacteria, and may help reduce the swelling. Gargle about 30 seconds before spitting it out, and repeat as often as needed. Various teas have some numbing power, such as peppermint, along with a nice flavor. Put your favorite teabag into a cup of boiling water and steep for five minutes. When the tea cools, swish it around in your mouth before swallowing it. Since black tea contains astringents, it may help alleviate the pain by reducing the swelling. 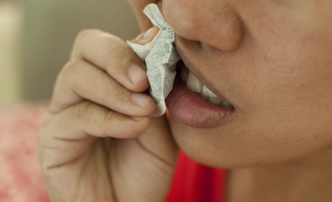 For this remedy, place the warm wet teabag against the affected tooth for immediate relief. You can either wrap a thin cloth around a small ice cube in a plastic bag, and apply it to the aching tooth, or use an ice pack over your cheek near the painful tooth for about 15 minutes to numb the nerves. 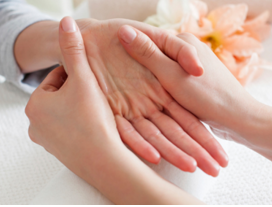 Also, many people claim if you massage your hand with an ice cube, it can help relieve a toothache by sending "cold" signals from your fingers to your brain, which may override the pain signals coming from your tooth. 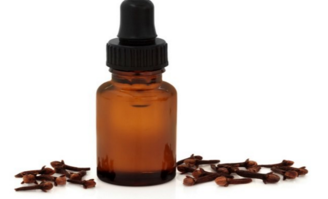 Cloves are a great remedy for how to ease toothache, because the chemical compound includes a natural anesthetic called eugenol. But it needs to be used carefully by putting two drops of clove oil on a cotton ball and place it against the tooth itself until the pain subsides. You can also use a bit of powdered clove, or chew a clove on the tooth, and keep it in place up to half hour or until the pain eases. 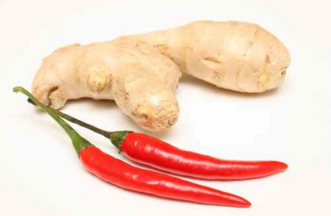 Mix equal parts of ginger and cayenne spices using water to make a paste. Roll a cotton ball into the paste saturating it, and then place it on your tooth, avoiding your tongue and gums. Try leaving it on your tooth as long as you can stand it, as it will likely burn. Both spices are potent painkillers; and the chemical capsaicin, which was found in cayenne, has been known to help block pain messages from reaching the brain. 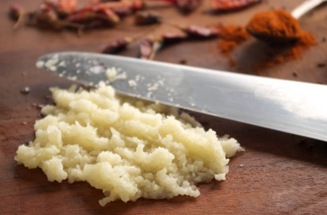 Using crushed garlic can also provide temporary relief from toothache. Garlic has medicinal properties and an antibiotic that can be very effective in reducing the pain. Taking a crushed garlic clove, and mixing with some table salt, then applying it directly on the aching tooth can help a lot to relieve the pain. If you would rather, you can chew one or two cloves of garlic to get the same effect. Repeat this natural treatment as needed, or until you can see your dentist. 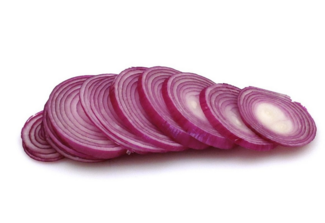 Fresh onion is a great remedy for how to ease toothache, especially the juice on the freshly cut onion. Putting a slice of it inside your mouth against the toothache area and you will feel better soon. Raw, fresh potato also works well. Peeling and cutting a piece of it, and holding it in the place on the affected area can help relieve the pain. Cool cucumber also has the same effect and what you need to do is placing a slice over the painful area. Try stopping tooth pain fast using an acupressure technique. Using your thumb, press the point on the back of your other hand where the base of your thumb and your index finger meet. Apply pressure for a couple of minutes. This will help trigger the release of the brain's feel-good hormones called endorphins. Your toothache lasts longer than 1 or 2 days. You have developed a fever, an earache, or sharp pain when opening your mouth wide. Your toothache pain is severe. Properly identifying and treating dental infections is very important in order to prevent spreading it to other parts of the face and jaw and possibly poisoning the bloodstream. If you want to know how to ease toothache, then practicing good oral hygiene is the most important step in keeping your teeth healthy. If you don't clean your teeth at least twice a day and floss at least once a day, the plaque and bacteria will build up and cause problems like cavities and abscesses. More importantly, flossing really does work in those hard to reach areas to keep your teeth healthy and free of bacteria-causing factors. What you eat makes a big difference in how healthy your teeth will be. Certain foods are harder to remove from the areas between your teeth. Avoid starches and sugars as much as possible because these two substances feed bacteria. If you're going to eat sticky food that gets stuck between your teeth make sure that you have a toothpick or dental floss handy. Try to finish your meals with an apple or a fresh salad because they can help clean your teeth naturally. Make sure you see your dentist at least twice a year for a regular checkup and professional cleaning, and to take care of any cavities at an early stage. This preventive care goes a long way to making sure you don’t get a toothache in the first place.